Global provides their customers with excellent K9 training services. We sell & provide drug dog training, bomb dog training, & canine training services in EVERY State in the U.S. & throughout the World! Our detector dogs have the highest reputation! 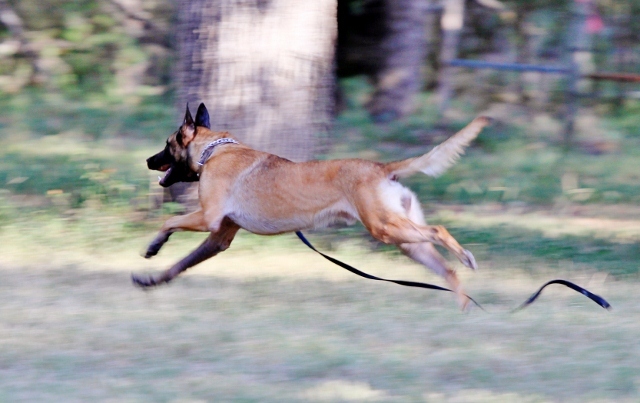 The K9 training services of Global Training Academy are licensed by the Texas Commission on Private Security, Registered with the DEA, the Texas DPS, and the ATF for the use of explosives. We have mandatory & high standard detector dog certification process. This standard was carried over from the U.S. Military when this company was started in 1984. Dan Hayter, one of the owners, had been the Course Chief for the Military Bomb Dog Course at Lackland AFB, Texas for 6 years prior to his retirement and starting Global. He also was the FAA Coordinator and Evaluator for the FAA program for 8 years prior to retirement. He is now on the UN Mine Dog Committee that is working to establish standards for mine detection dogs. When we started our company there were no standards for detector dogs in the civilian community. We established the standard that a detection dog handler and detector dog must pass a high standard certification process. If the handler and detector dog do not meet the certification standard in the normal course of the detector dog handler training course with his detector dog; they are not certified as a team.